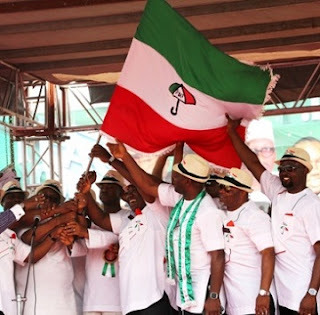 Ahead of the 2019 general elections, the chairman of the Peoples Democratic Party (PDP), Board of Trustees (BoT), Senator Walid Jubrin has said that anyone seeking to be the party’s presidential candidate must have made appreciable contributions to the party. Jubrin, who stated this in an interview with journalists in Abuja yesterday, said there would be no room for aspirants who have not in anyway contributed significantly to the party. He added that the presidential aspirants would be strictly assessed by their antecedents. Jubrin said in the 2019 presidential election, the PDP would be looking for a candidate who is committed to its ideals and principles and ready to serve the masses, rather than one pursuing personal ambition. According to him, “Where you have self-seeking individuals fighting to get the party’s ticket, it would not serve the interest of the PDP because even the electorate would be careful before voting for candidates in elections. “So nobody should destroy the party through personal ambitions, particularly in the contest for presidential ticket. We must see their contributions first”. The PDP leader said the inability of the BoT to hold a meeting, was as a result of the many court cases occasioned by the leadership crisis rocking the party. Jubrin, while admonishing PDP members to remain committed to the party, said some of those who left the party would soon rejoin the party. The BoT chairman said:”We have received reports that our friends that left the PDP are willing to come back, after we have treated our ailments. We will welcome them and others willing to join the PDP for the progress of Nigeria”.